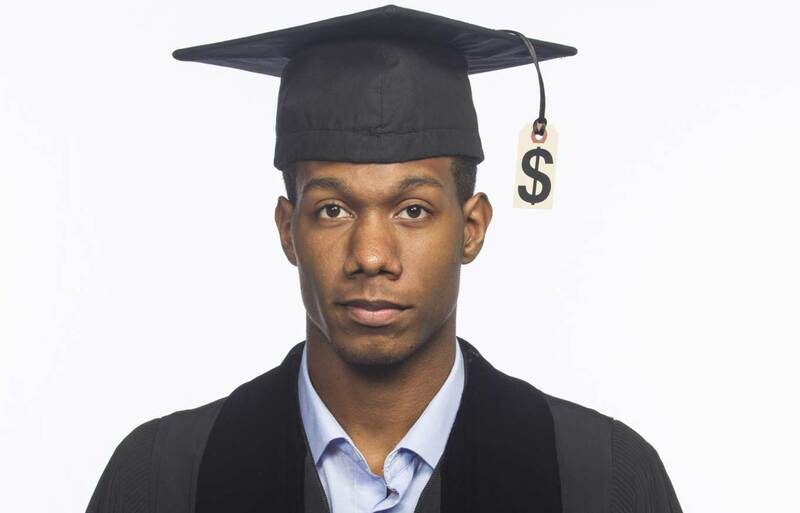 Home > News > Did the Government Just Cave on Colleges’ Student Debt Accountability? Did the Government Just Cave on Colleges’ Student Debt Accountability? The Department of Education doesn’t believe that cohort-default rates (CDR) are a useful way to measure a college’s effectiveness after all—the same metric they just tweaked a few weeks ago. In fact, the agency is chucking the metric altogether — a move that should concern students and taxpayers. In its just-released gainful employment regulations, the DOE asserts that loan payments that exceed 8% of total income (20% of discretionary income—the difference between total income and the poverty line for that size household) are a better way of identifying overpriced institutions that churn out students who don’t earn enough to cover the cost of their schools’ programs. When you consider the fact that a healthy debt-to-income ratio doesn’t exceed 25%, 8% seems pretty conservative—except that the math doesn’t jibe. According to the National Association of Colleges and Employers, the average starting salary for 2014 grads is $48,707—the same grads who also happen to be carrying some $33,000 in education-related debt. Apply the 6.8% interest rate that was in place for unsubsidized government loans until this past year and that $33,000 translates into an average monthly payment of $379.77 for the standard 10-year repayment term. But if you multiply that same $48,707 by the 8% limit and divide the product by 12, you come up with only $324.71 per month. Get ready for the court challenges to that 8%! That math, however, is a sideshow. The real problem has to do with the false premise of correlating a solitary metric—debt-to-income ratios that are exclusively based on federal student loans—to the probability of default, which is typically a domino effect. Therefore, shouldn’t all other education-related debts be factored into that equation as well? Although the originally proposed cohort-default rate methodology also ignored nongovernment-based debts, the CDR remains a superior standard of measure nonetheless. That’s because when all is said and done, what matters most in this regard is the extent to which students have failed to meet their obligations, either because they borrowed too much, were charged too much, are earning too little or, just as likely, for all these reasons. The schools cannot argue away their complicity. What’s also concerning about the DOE’s latest move is its persistently myopic focus on degreed graduates. According to the National Center for Education Statistics, 59% of first-time, full-time undergraduate students who began their educational pursuits at four-year schools in 2006 earned their degrees in six years’ time (or less). That means 41% of the students these schools elected to admit in the first place did not complete the work. Why aren’t colleges held to account for that, and why aren’t the debts these former students often take with them incorporated into the measurement? With all that in mind, it’s hard to take the DOE at its word when it talks about ensuring “that colleges accepting federal funds protect students, cut costs and improve outcomes” when it bases its conclusions on only one type of measurement, ignores contemporaneous data and limits its analysis to 59% of the student population. If the DOE is truly interested in driving down tuition prices that have swelled because of institutional inefficiencies and extravagance, as well as for engendering improved rates of completion and gainful employment, it will reconsider this obviously inadequate approach.